This limited-edition stunner has looks and classic Fender tube tone to match. 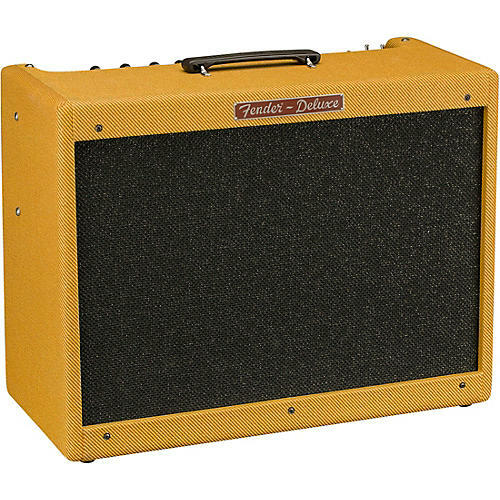 An updated version of the legendary amplifier that’s been the heart of many guitarists’ rigs, the Fender Hot Rod Deluxe IV features modified preamp circuitry, smoother-sounding spring reverb and updated aesthetics that any player is sure to appreciate. A supercharged amp decked out with player-requested features, this scorching 40-watt 1x12" combo is ideal for guitarists who need hot-rodded power with performance to spare. And this limited-edition take features a lacquered tweed finish for extra stage presence and retro appeal.